Well, this won’t take long. 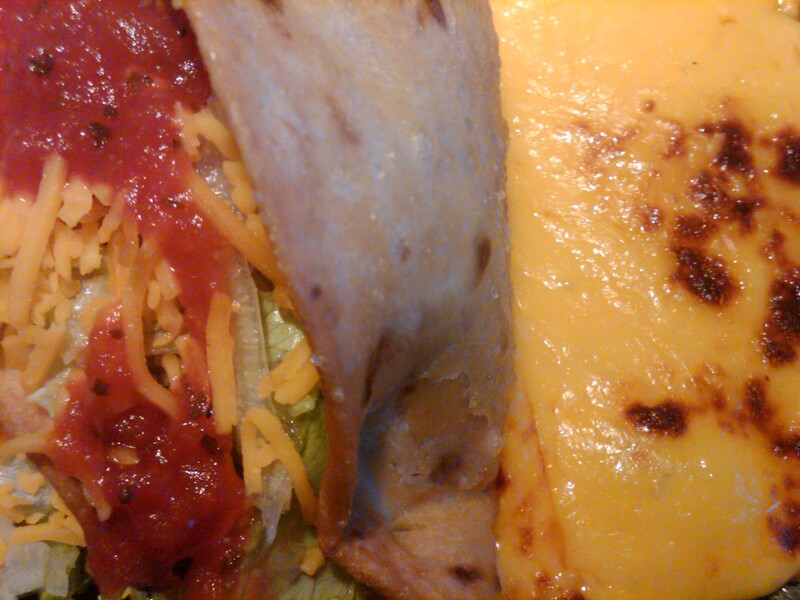 Queso + salsa + taco + enchilada = <3. 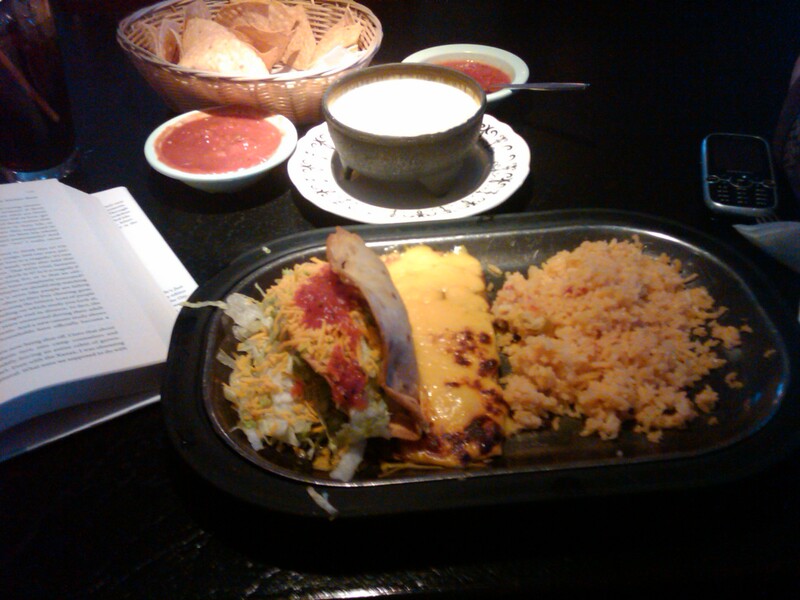 I’ve been to Felipe’s enough that I generally order the same thing. I always, always get their queso. And I always mix mild and hot salsa for what I think is a tastier medium salsa. Not because the hot’s too hot, but I think the mild has a good flavor. It’s usually an 80/20 hot to mild mixture. But it’s a little bit of mild that makes it perfecto! And I love, love their fried flour tacos. Ground beef in mine, please. And a cheese enchilada. Does it get any better than this? I also ordered (and drank my body weight in) Diet Coke. My waitress was particularly amazing. No, incredibly amazing. Overall, probably the best dining experience I’ve had in Wichita in a long time. And that’s even without a flaming cazuela! Yes, this IS all mine. Don’t worry, I spread it over about 3 meals. great! now I want Felipe’s. mmm…cheese. I know. I feel like this blog is bad for our health….